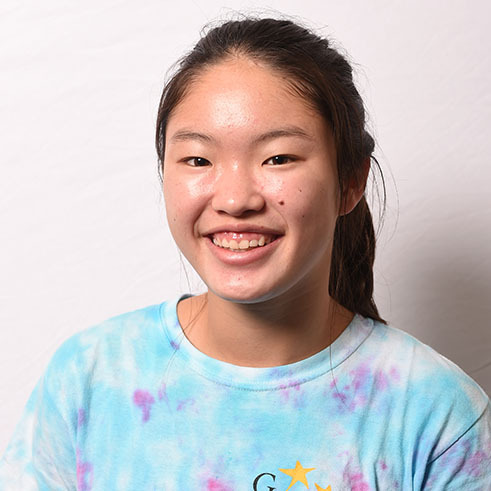 Gold Star Gymnastics » jennifer k.
Jennifer K. began coaching at Gold Star in the summer of 2016, but has been a part of our Gold Star family since she was four. Jennifer quickly moved through our recreational programs, competing as high as Optional Level 8, and has now switched over to the All-Star Cheer world. Jennifer has her USA Gymnastics Safety Certification, and all day, every day you will find her munching on spicy chips.